Fourteen captains will lead their teams into the World Cup with the governing body's assurance that they are more protected against umpiring howlers than any of their predecessors. 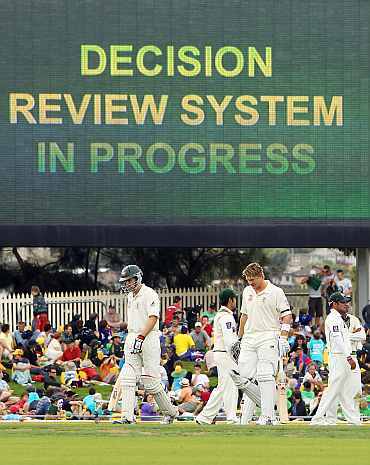 The Decision Review System (DRS) makes its World Cup debut even though the Indian board, the world's richest and most influential national cricket body, reckons the technology is far from foolproof, a view shared by cricketers such as batting greats Sachin Tendulkar and Ricky Ponting. According to statistics from the International Cricket Council (ICC), the technology that allows players to challenge the on-field umpires' decision through a review system, improves correct decision-making to over 97 per cent from 92 per cent. The global governing body believes it is good enough for the technology's use in a stage as big as the World Cup. "There was a strong feeling that the World Cup, being the World Cup, we would not want an error to cause a result that should not have been," ICC chief executive Haroon Lorgat said. "It was quite clear among the vast majority (of the ICC) that we should use the DRS in the World Cup to avoid a clear error," he added. Lorgat does not call it foolproof either. "We can only use what is available currently," he said. "In fact, I think cricket should be credited or acknowledged for the lead it's taken in introducing quite sophisticated technology to aid the umpires' decision making," he added. The governing body took the first major step towards embracing technology in 1992 when it introduced the third umpire, who uses television footage to aid his on-field colleagues in making close decisions. - Cup Camera: Heard of the wonder bat? While tennis introduced instant replays in 2006, FIFA is still considering using it in soccer in the form of a goal-line electronic eye. But the introduction of technology has not been without hitches. "We don't accept this technology. We are not going to use it in any bilateral series," BCCI secretary N. Srinivasan had said in January. "The World Cup is an ICC event and if ICC decided to use it, they obviously can," he added. 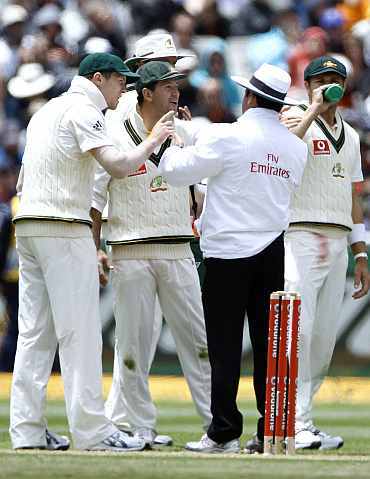 Ponting too has expressed doubts about the accuracy of the system. "I do get a little bit annoyed with it because I think it's a blight on the game, trusting in technology that's not good enough to show them," a fuming Ponting said during the Ashes after a review for a catch gave the benefit of doubt to the batsman. 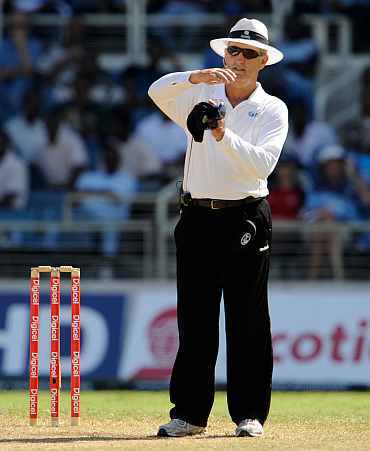 It is not just cricket greats who have their problems with supposedly high-tech solutions to umpiring. Former tennis world number one Roger Federer has used instant replays but has always been critical of it. "I have a very strong opinion about it. I'm absolutely against it," said Federer, who believes the vast amounts of money invested in the technology can be better spent elsewhere. The acceptance of DRS, however, seems to be growing following its Ashes debut last year. During the World Cup, which gets underway on Saturday, each team will have two unsuccessful chances to overturn the on-field umpires' decision. 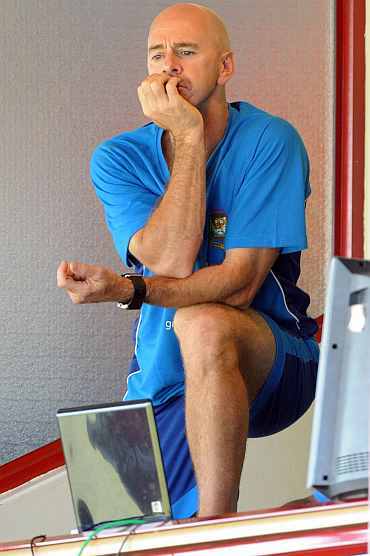 Bangladesh coach Jamie Siddons welcomed the introduction of the technology. "The review system is fantastic. I think we have always complained that we get the rough end of the deal," he said. Former fast bowler and Pakistan coach Waqar Younis said it would give the teams more protection against bad umpiring decisions. "I mean once you get into the quarter-final you don't want any bad decision to really put teams out of the tournament. It's not a good way to go," Waqar said.